Ho! Ho! Hot! Let us give you a hand with your holiday baking and gift-giving this season. Enjoy our stylish Holiday Hostess Hot Mitt pattern with our compliments. 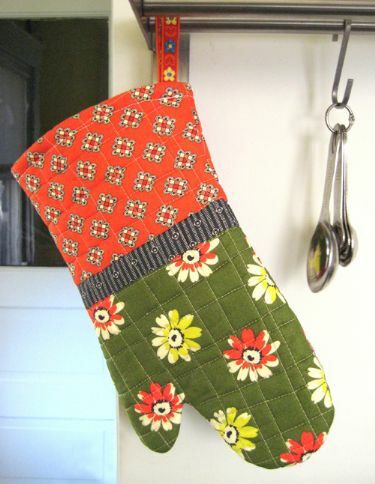 The Holiday Hostess Hot Mitt features Denyse's Daisy Mae fabrics (available at JoAnn Stores), and is fast and easy to whip up for everyone on your list – especially your favorite hostess, or your friend who's a baking fanatic. Tuck your favorite recipe inside for an added dash of personalized charm, or wrap it up with a ready-to-bake cake mix for someone special. The cookies might burn, but your fingers – and budget – will be safe! Warmest holiday wishes from all of us at DSQ.